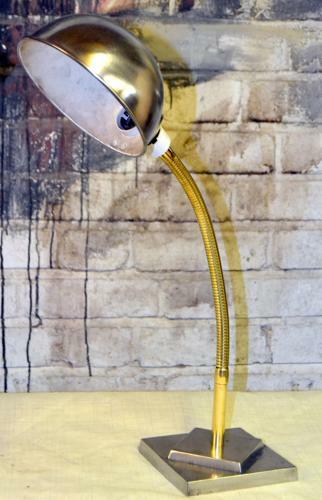 These polished industrial lamps are from the 1920s, and are quite fashionable. They are rather large and are a mix of gold and silver in colour, and would look fabulous in any study, library, lounge or bedroom. They do have to be rewired, but otherwise are in excellent condition.